DR Horton’s newest townhome community of Village Park now has move-in ready homes available. This quaint townhome community of just 44 homesites is conveniently located in desirable Deerfield Beach close to Federal Highway near Hillsboro Blvd and Deerfield’s sleepy beach town and pristine beaches. In addition to its superb location and affordability, Village Park will offer spacious townhomes in a 2 story design of 3 bedrooms and 2.5 bathrooms all with 1 car garages and covered patios. Village Park townhomes by DR Horton offers 2 models to chose from. 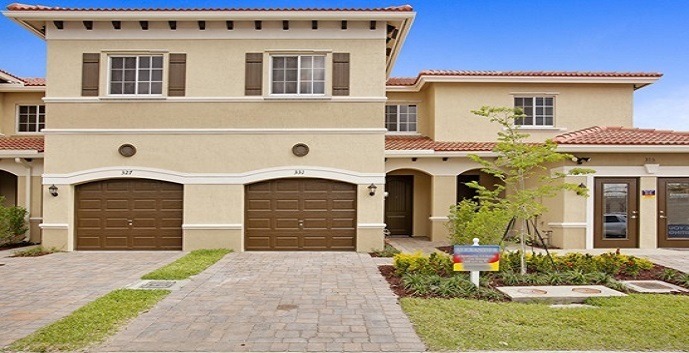 Crestbrooke - 2 story townhomes, 3 bedrooms, 2 and 1/2 bathrooms and 1 car garage. 14,46 sq.ft.